Chandra L. Moss is one of Southern California’s most distinguished family law attorneys practicing today. She attended Brigham Young University, where she obtained her Bachelor of Arts Degree in 1982. During her attendance at Southwestern University School of Law, she earned a place on the prestigious Law Review and was the recipient of several scholarships and awards. Having graduated near the top of her class, Ms. Moss passed the California State Bar Exam on the first try. Ms. Moss has had extensive courtroom experience since her admission to the California State Bar in 1991. 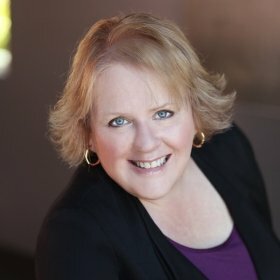 Having practiced family law for more than two decades, she is well versed in all aspects of the field, including child custody, child and spousal support, dissolution of marriage, paternity, and complex, high end matters involving business valuation, characterization and division of property. She also is experienced in drafting pre and post nuptial agreements. In 2005, Ms. Moss was designated as a Certified Family Law Specialist by the State Bar of California Board of Legal Specialization, an achievement rarely attained by her peers. She authored “When Can, Should a Child be a Witness in a Family Law Action,” has interviewed with Fox News concerning governmental child support actions and has been a featured speaker. She is a member of the State Bar of California and several local and statewide organizations. Ms. Moss and her college professor husband of thirty-four years are the parents of two daughters. Ms. Moss is also a vocal and instrumental musician (piano, organ, and violin) and is an award winning published fiction writer.